*This post contains affiliate links and I will make a commission if you decide to make a purchase. Thank you! 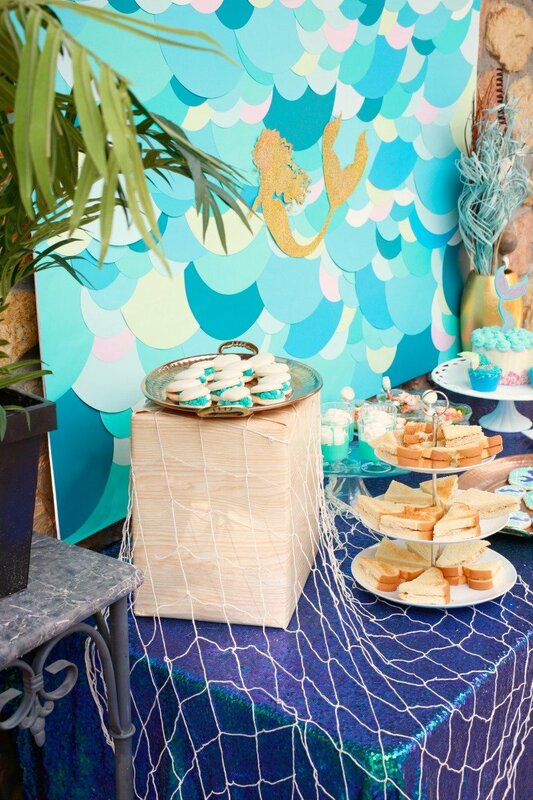 Splish splash it's a mermaid bash! 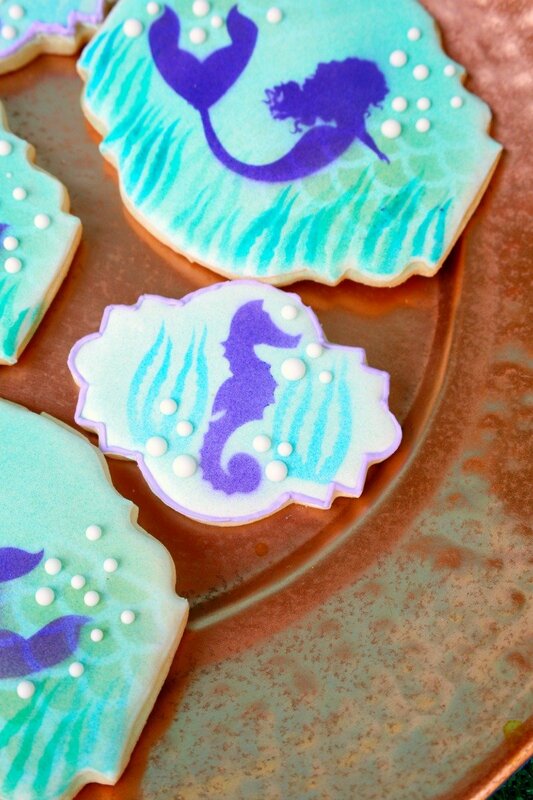 I'm an eighties baby and The Little Mermaid is the first movie that I can remember loving. My mom said we went and saw it in the theater 5 times! Ever since then I have loved mermaids. 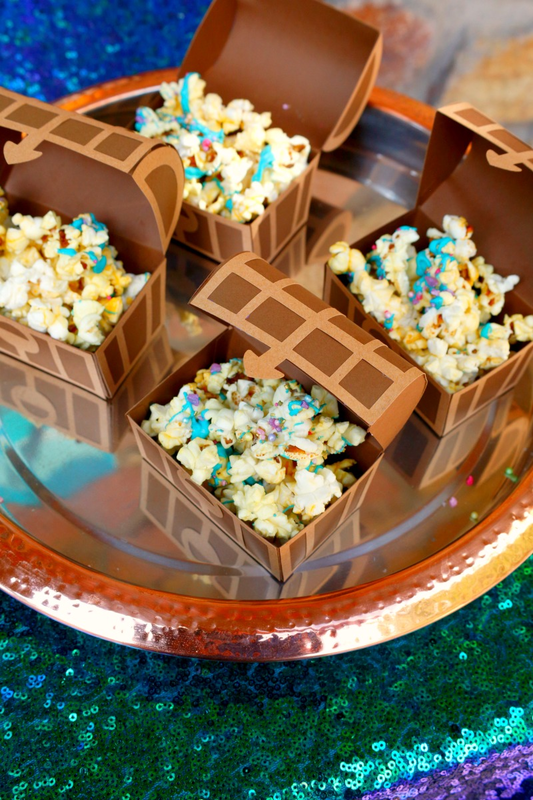 Since I have 2 little boys, I never get to plan really girlie parties. 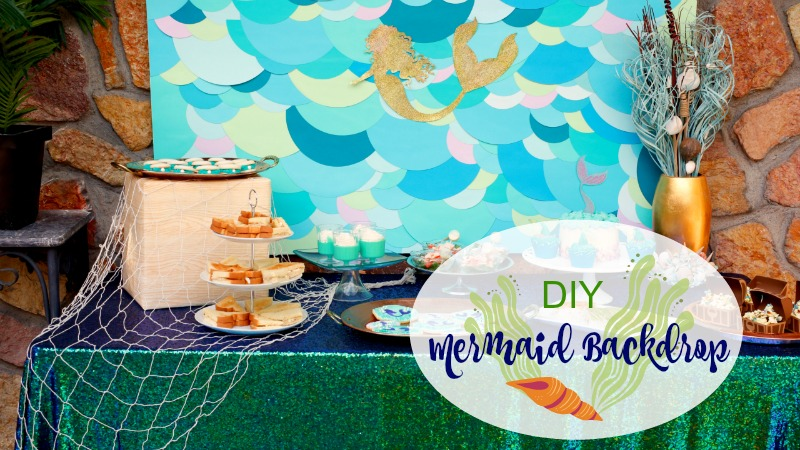 But it was my birthday last month, so I figured I could do what I want and put together this Under the Sea Mermaid party. Fortunately my boys were all for it when they saw the goodies I was setting out. I made the cake by following some of the amazing drip cake videos on YouTube. 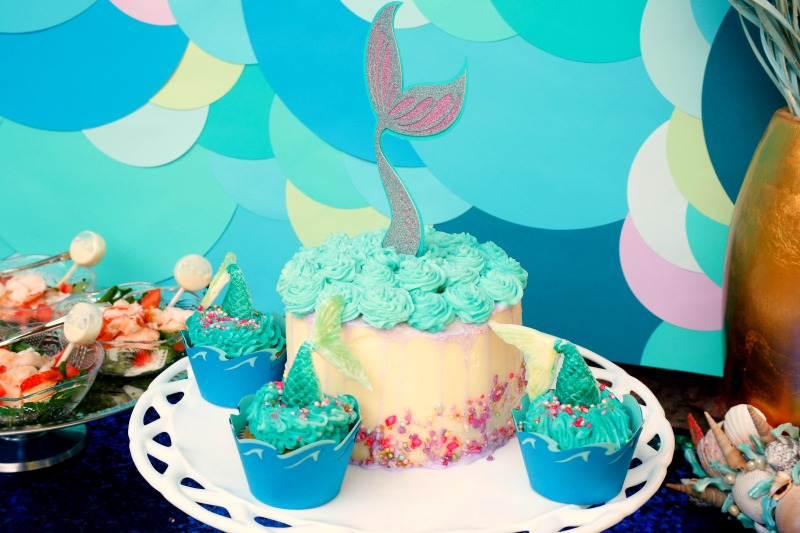 I also made the cake topper by using my Cricut Explore One™. 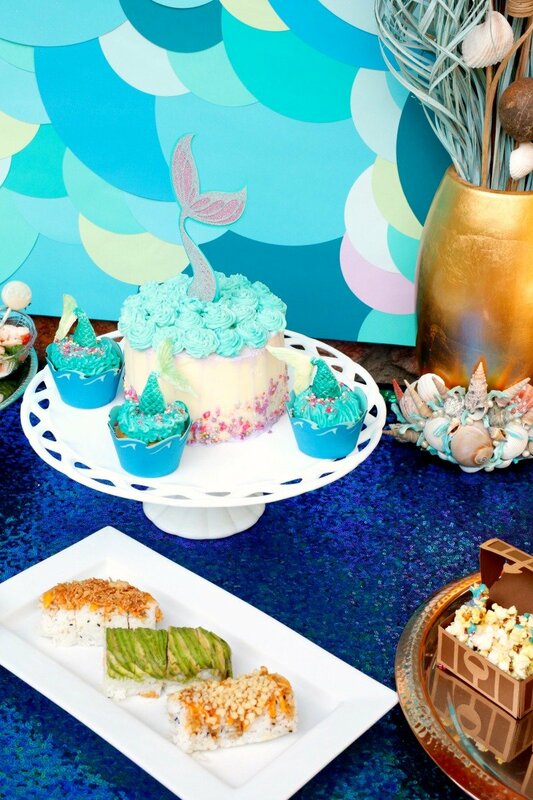 In fact I made several things for this party with my Cricut and the Mermaid Party cartridge. 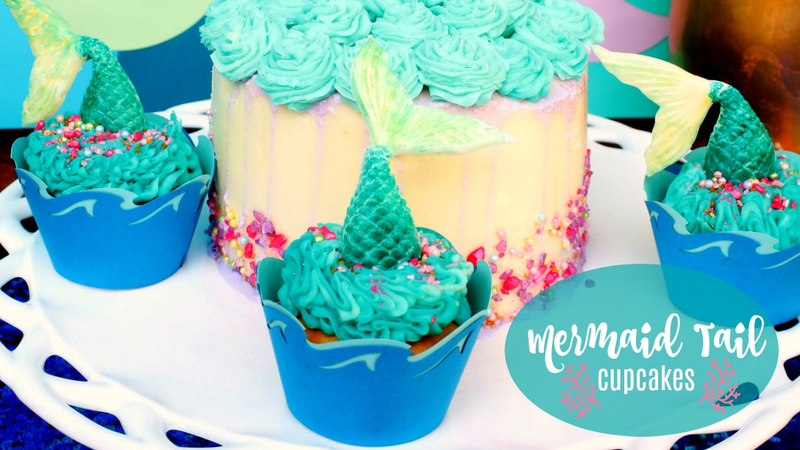 I also made the cupcake wrappers and you can see a tutorial on how I made the mermaid tail cupcakes here. They were pretty tasty! 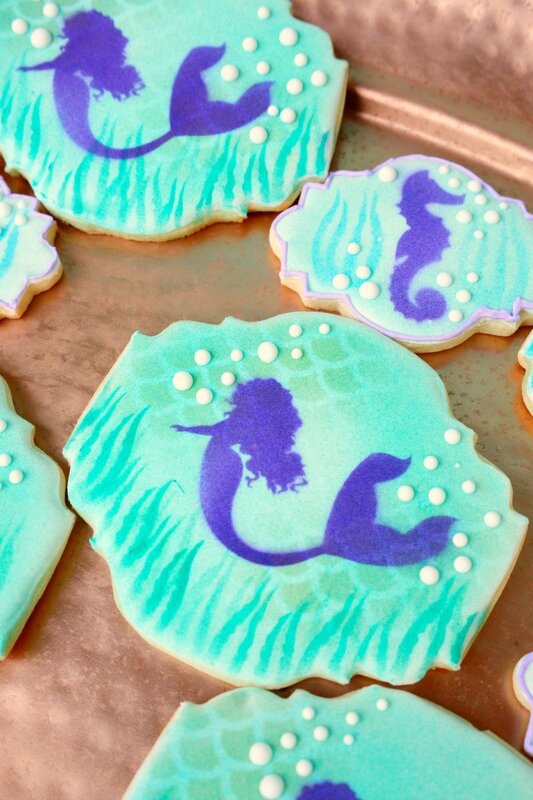 I even made stencils for the mermaid and seahorse sugar cookies with my Cricut Explore One™. (No tutorial but you can find the cut files for the stencils here and here, and here.) By the way, I opened up a home based bakery in El Paso and these cookies are available for locals - check them out at Desert Flours Bakery. 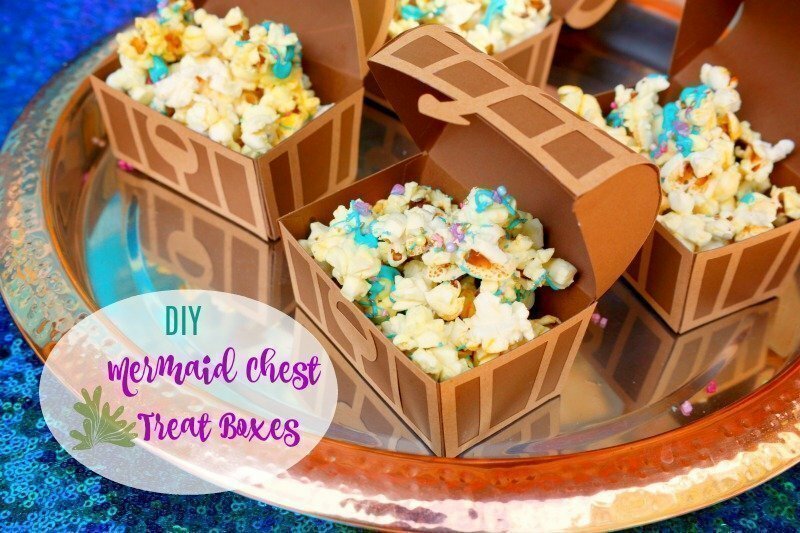 And no, this is not a sponsored post - I really do use my Cricut this much - plus there were so many things to pick from in the Mermaid party cartridge that I decided to make as much as I could. 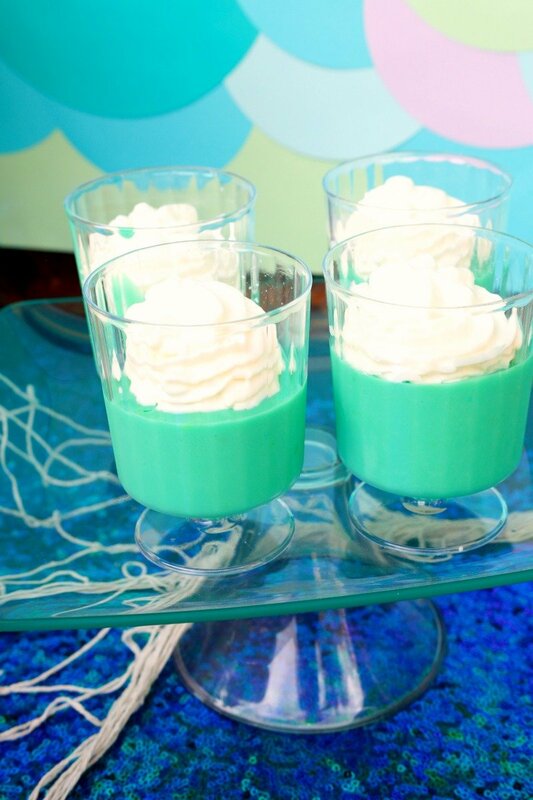 I made pudding cups by adding just a touch of turquois food coloring to some instant lemon pudding and topping with whipped cream. 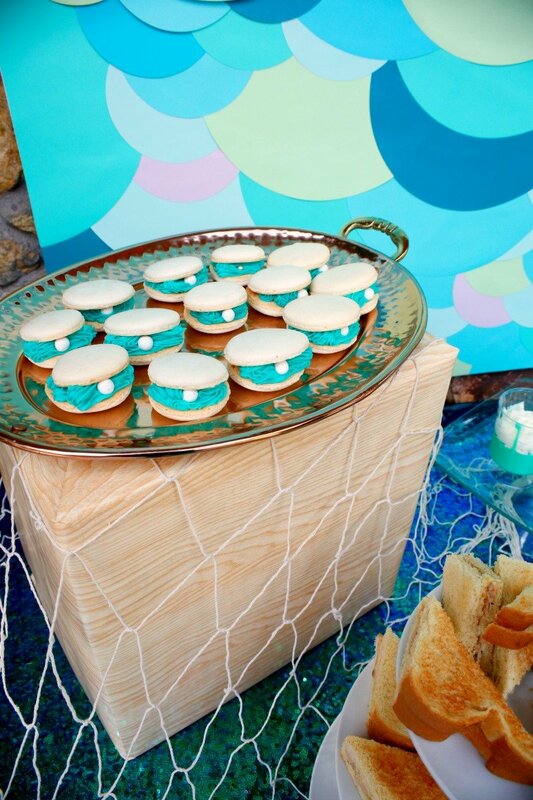 I wanted to make these macarons so that they looked like oysters with little candy coated chocolate balls. 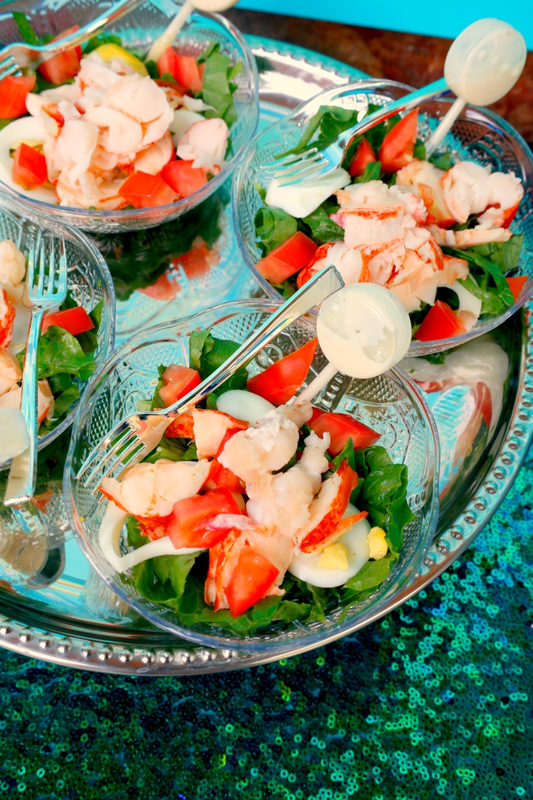 and I made lobster salad with big chunks of lobster, lettuce, tomato, and hard boiled egg. I had Caesar salad dressing in these droppers that are normally used for adding a shot of liquor to a cupcake. 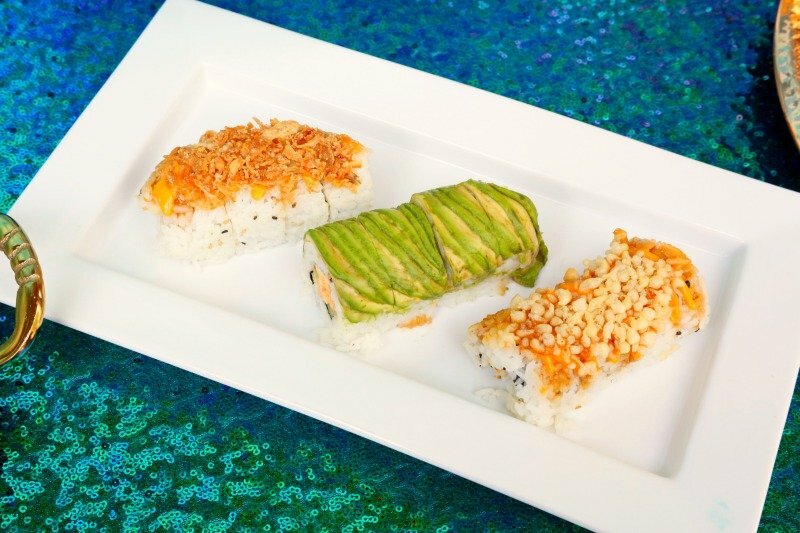 The only food that I didn't make was the sushi. I was shopping at Sprout's Farmers Market the day of the party and thought these rolls looked perfect. As for decor, you already know that I made the backdrop. 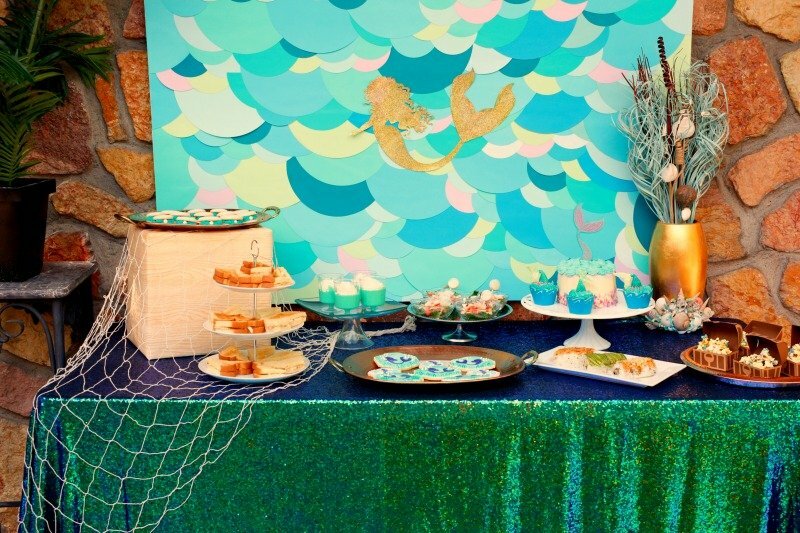 I rented this gorgeous table cloth from Events Decor by Tahlia. 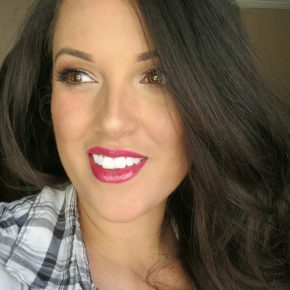 If there's any chance you're in El Paso, TX she has some amazing rentals and sets up beautiful custom dessert buffets. 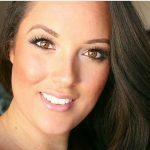 And if you're not in El Paso, you should still check out her Instagram to spark your imagination. I also used some Dollar Tree netting and faux house plants that I already had. 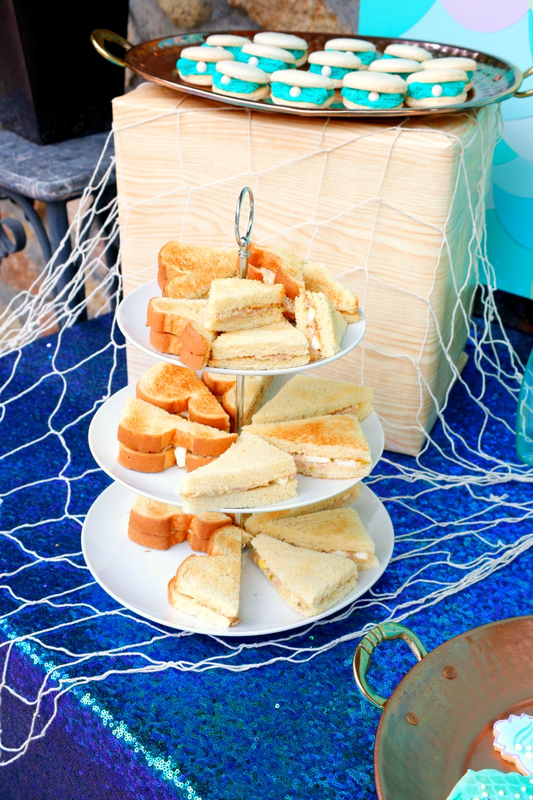 In the background you can see a mermaid tiara. 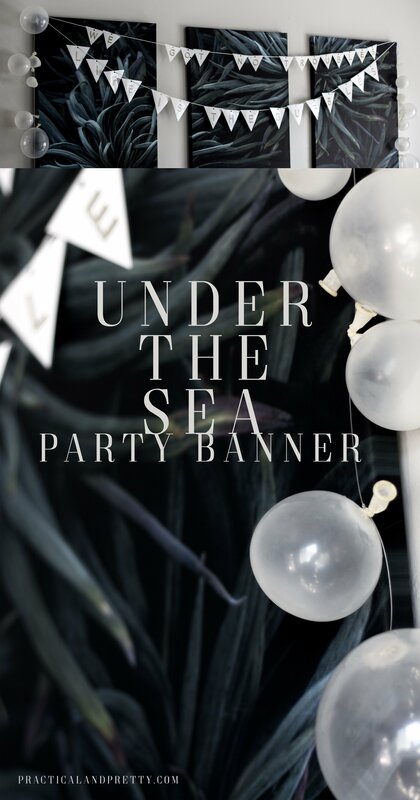 I'll have a post coming up on how I made that soon which goes with a whole mermaid costume series just in time for Halloween. So, this was obviously a pretty small party, but you could always scale it up. 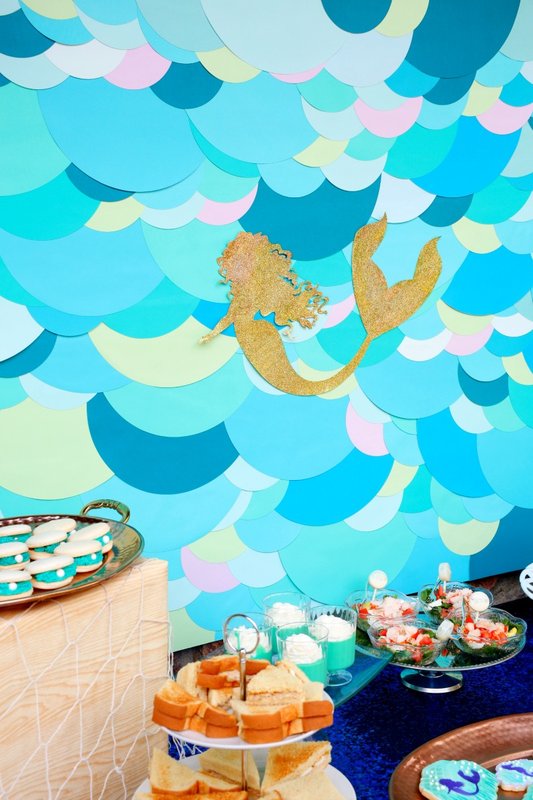 And it just goes to show that you could be four or 34 to have a fun mermaid party! 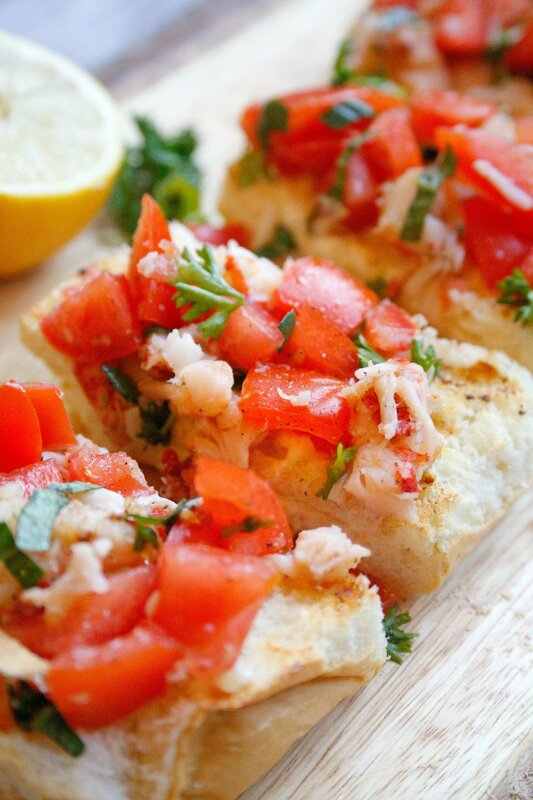 and my recipe from yummy lobster bruschetta. Until next time, best wishes and mermaid kisses! 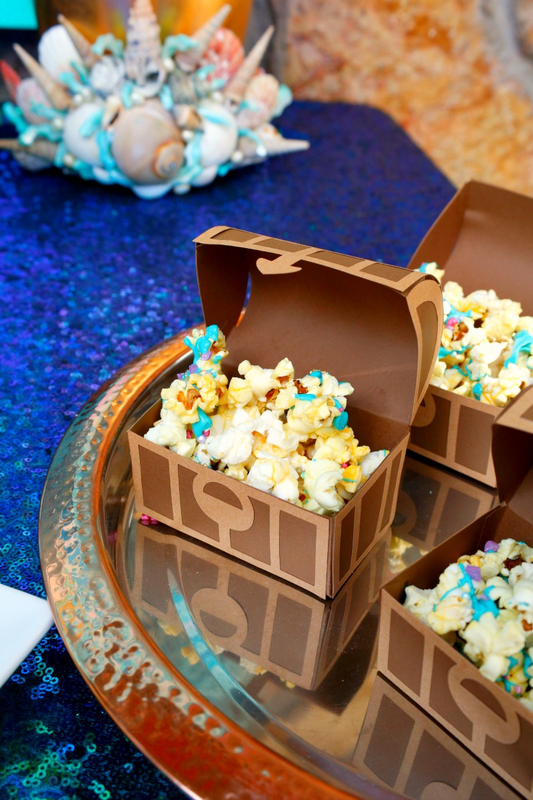 What an awesome party idea! 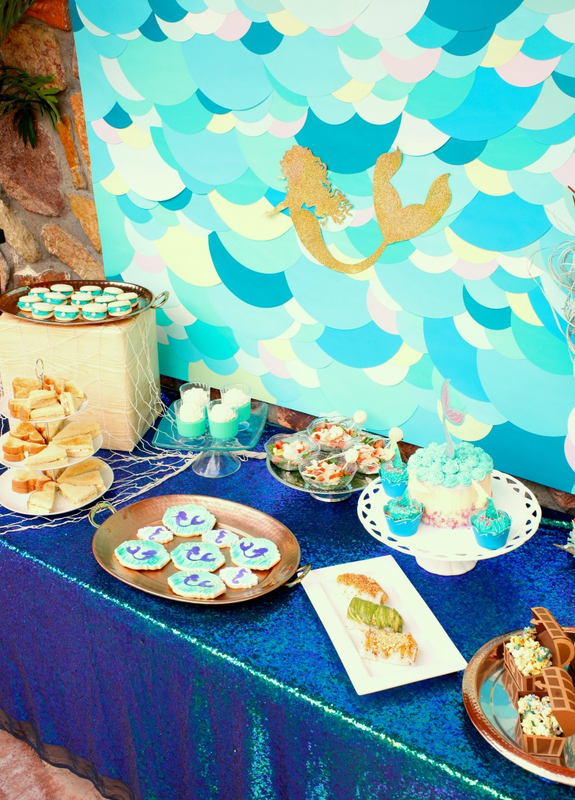 I grew up with The Little Mermaid as well and I would die for this party, LOL. 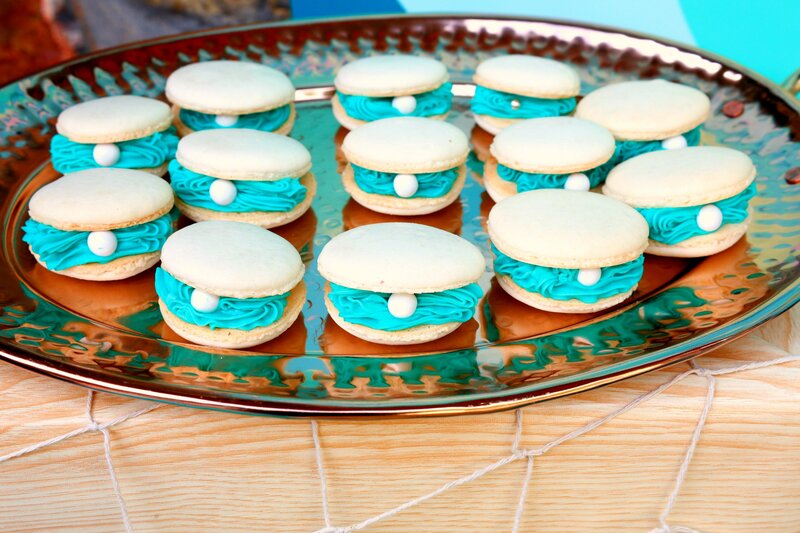 I love the macarons with the pearl!